Description: This is a professional and nice-looking list diagram with beautiful clip arts. It is a free, customizable and editable wedding budget diagram template provided for download and print. Quickly get a head-start when creating your own wedding budget diagram. You can also use it to plan your wedding budget. 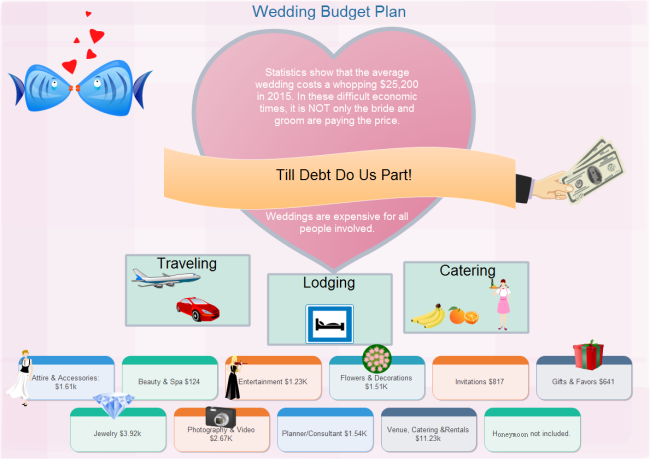 This simple wedding budget diagram example is created by Edraw Max, which is available in different formats.